A new life as a single mom involves some major life changes, such as juggling your children’s homework and activities along with your own work (without a partner there to help), remembering to pack everything for your children’s overnights with the other parent, and learning how to create a new life for yourself while always putting your children first. Those adaptations often occur naturally as you move forward in your new life, but some changes require a bit more thought and planning. Holiday traditions are some of those challenges. How can you create new, meaningful, and affordable family holiday traditions that your family will embrace? 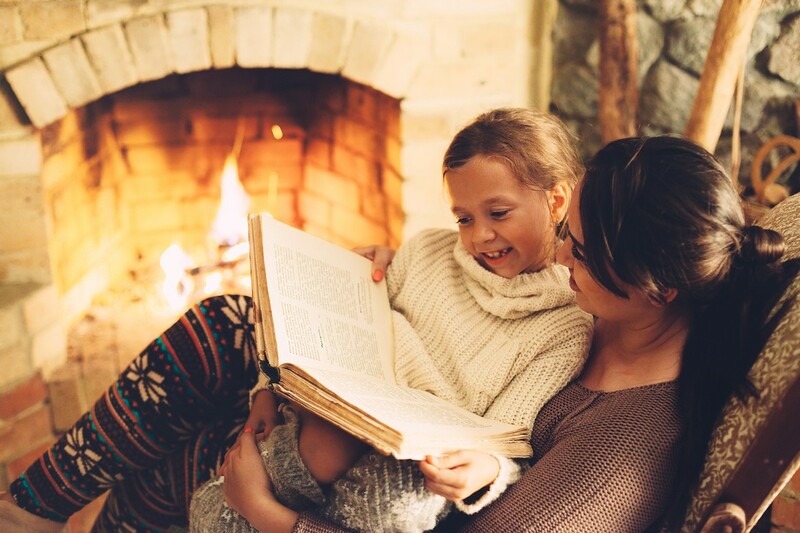 We’ve compiled some of the best ways to bring new meaning to your family and get into the holiday spirit without breaking your bank. Remember the Griswolds? The National Lampoon’s Vacation series is proof that family time, both good and bad, often takes place in the car. Use this to your advantage, and schedule some holiday-based excursions for you and your children. Use the travel time to do things that your family enjoys, such as singing along to the radio, creating stories together, or telling jokes. Where can you go? Check to see if there are some spectacular holiday light displays in neighboring towns for you to view. Or maybe there is a winter wonderland event no more than a few hours away for you to visit. Not up for the drive or have a child who gets carsick? Another way to carve out new memories together is to participate in local charities during the holiday season. Serving holiday meals at a local soup kitchen is a popular option, but there are other ways to contribute to agencies that support those in need. If your family loves animals, you could begin your own annual collection of toys, food, and treats for a local animal shelter. Or, if you live in a cold climate, collecting gently used coats, boots, and warm clothing for a local shelter is an important way to contribute. Not only will collecting items together help create new, warm family memories and teach the importance of social action but also the act of gift giving can be memorable. Pick a date where you can all go together to drop off your items and then spend some time discussing what it meant to do something kind for others during the holiday season. If scheduling time to collect and donate items is not feasible for your family, try incorporating random acts of kindness into each day. Some of these, such as purchasing coffee for the person behind you, encouraging your child to invite a shy classmate to play at recess, or helping an elderly neighbor around the house, can be planned. While others, such as helping a frazzled mom calm down her child, giving a lost dog a ride home, or saying kind words to a friend who is upset, are spontaneous. Whether the former or the latter, what is important is to acknowledge these actions. Speak about them at dinner each evening, or plan a weekly “date” to discuss all the ways in which you’ve helped others throughout the past seven days. Are you more of a homebody who is happiest with a bit of flour on her cheek? Roll up your sleeves and spend several afternoons together with a whisk and spatula. But don’t get caught in the trap of baking dozens of the same holiday cookies to give to friends and family—personalize your treats. Have a family meeting to discuss each person you plan to bake for, taking into account each person’s personality and any dietary restrictions, then find a cookie to match. There are so many cookies to choose from—traditional sugar, peanut butter, or chocolate-chip cookies, to the more creative alternatives, such as butterscotch blondies, candy cane–style meringues, or chocolate macaroons—you can’t go wrong. Take some time to write a personal note, explaining why you have chosen to give each person the specific cookies you made. Your classy friend, crazy aunt, and gluten-free neighbor will love getting a treat perfectly tailored for them. Glitter, stamps, and paint can also hold a special place in creating new family memories. For younger children, designing your own wrapping paper is a fun way to make the holidays special. Purchase several rolls of butcher paper, winter-themed stamps, and coordinating glitter, then spread everything out on a newspaper-covered floor. Depending on your children, you can create themes and patterns or let them go wild! When complete, make sure to take a picture and save a little square for yourself so you can compare the wrapping paper from year to year. For older children, schedule a family photo shoot where each child can pick the location and take a series of pictures. Use your camera’s timer, or ask a kind stranger when group shots are needed. Develop the images, and set out to make an old-fashioned photo album. Decorate each page with words and drawings, making sure to capture special moments or feelings throughout the album. Grow your holiday photo-album collection each year, creating a set of books that you will treasure for decades. If you are still hoping for an in-home bonding activity but are afraid you may poison people with your baking or just aren’t into arts and crafts, try turning your weekly game night into a daily occurrence during the holidays. Set aside just 30 minutes every evening to play a game and enjoy one another’s company. If you’ve overdosed on traditional games such as Hungry Hungry Hippos, Twister, or Monopoly, get creative. Just one deck of cards contains enough games to last an entire month—you can set out to learn a new game each week and spend the next several days mastering the skills. Or, put daily household items to use with fun games that require little more than a chocolate bar, spaghetti, toilet paper, or balloons. Navigating the ins and outs of the holidays as a Solo Mom is not easy. But creating new holiday traditions shouldn’t be the source of your stress. Find the one that best fits your family’s personality, and spend some quality time together. Have you created your own new family traditions as a Solo Mom? If so, please share them below. ESME’s Gia Miller is a Solo Mom to a nine-year-old girl and a seven-year-old boy. She writes about health and wellness, parenting, divorce, food, and general lifestyle. Her work has been featured in online publications including the Washington Post, Healthline, Paste, Headspace, and more.